Set amidst the mountains, this ski-in/ski-out hotel in Thredbo is within a 5-minute walk of Thredbo Leisure Centre and Gunbarrel Express Quad Chair and close to winter sports such as skiing lessons. Kosciusko Express Quad Chair and Village Square are also within 15 minutes. 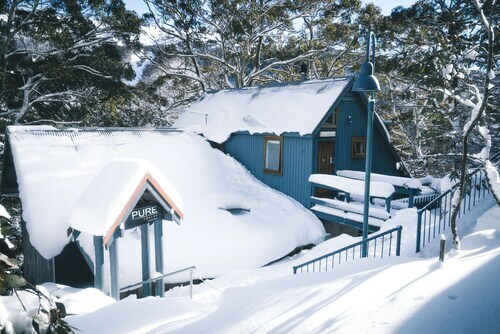 Located near the slopes, this Thredbo hotel is in the mountains and within a 15-minute walk of Kosciusko Express Quad Chair, Gunbarrel Express Quad Chair, and Village Square. Thredbo Leisure Centre is 0.5 mi (0.9 km) away. 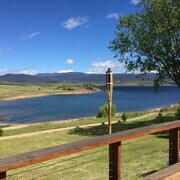 Situated on a lake, this campground is within 3 mi (5 km) of Lake Jindabyne, Nuggets Crossing Shopping Centre, and Banjo Patterson Park. Perisher Ski Resort and Smiggin Holes are also within 20 mi (32 km). Conveniently located near the ski slopes, this Thredbo hotel is within 1 mi (2 km) of Village Square, Kosciusko Express Quad Chair, and Gunbarrel Express Quad Chair. Thredbo Leisure Centre is 0.8 mi (1.2 km) away. 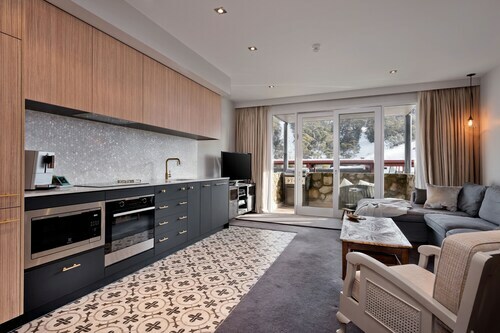 Situated in a national park, this luxury apartment building is within a 15-minute walk of Village Square and Thredbo Leisure Centre. Gunbarrel Express Quad Chair and Kosciusko Express Quad Chair are also within 1 mi (2 km). 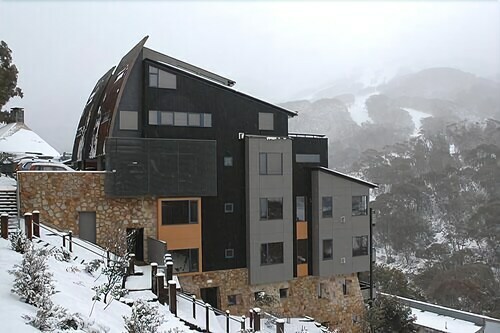 Situated in Thredbo, this luxury apartment building is within 1 mi (2 km) of Village Square, Thredbo Leisure Centre, and Kosciusko Express Quad Chair. Gunbarrel Express Quad Chair is 0.9 mi (1.4 km) away. Located near the slopes, this Crackenback apartment building is in the mountains and within 12 mi (20 km) of Gunbarrel Express Quad Chair, Kosciusko Express Quad Chair, and Village Square. Nuggets Crossing Shopping Centre and Banjo Patterson Park are also within 12 mi (20 km). Ski Tube Bullocks Flat Terminal Station is 22 minutes by foot. Situated in Kosciuszko National Park, this luxury hotel is within 1 mi (2 km) of Village 8 Express and Perisher Ski Resort. Perisher Quad Express Chair and Smiggin Holes are also within 2 mi (3 km). 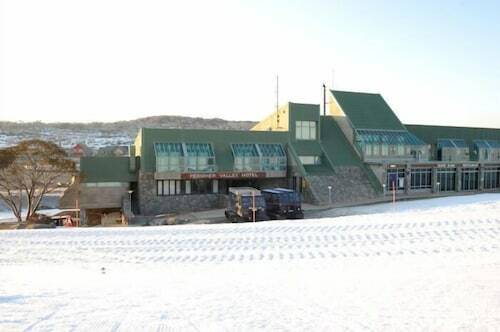 Perisher Ski Tube Station is only a 1-minute walk. Wotif can offer you a varied selection of hotel choices within 30 kilometres of wider Kosciuszko National Park. Which will come as a relief, as short and long-stay accommodations in Kosciuszko National Park itself are as rare as unicorn poop! Currently, there is 42 to pick from. Hunting for a place to stay near Kosciuszko National Park? 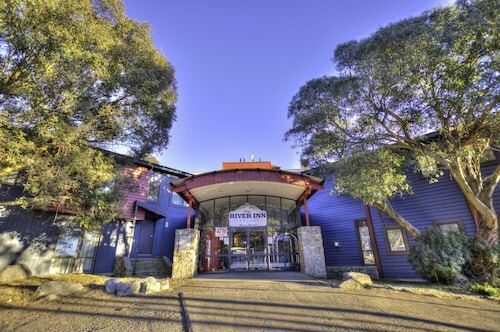 Check out the Rydges Horizons Snowy Mountains, located 30 kilometres away in New South Wales. Alternatively, you could try the Aalberg Chalet, located in New South Wales, which is 30 kilometres away. The Banjo Paterson Inn is positioned 30 kilometres away from the centre of Kosciuszko National Park. Another option is the Mowamba River Lodge, which is situated 35 kilometres away. 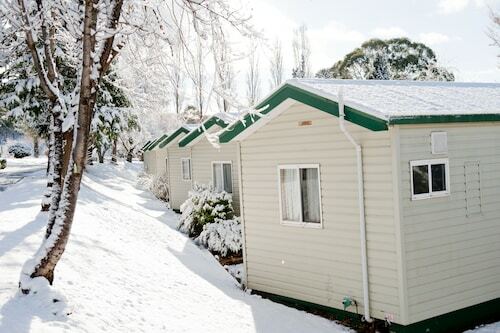 Some more places to stay in this area are the Aspire Alpine Gables & Brumby Bar and the Jindabyne Holiday Park. The nearest accommodations in Snowy Mountains include Perisher Valley and Smiggin Holes. Perisher Valley is 18 kilometres to the south of Kosciuszko National Park, while Smiggin Holes is 20 kilometres to the south of Kosciuszko National Park. 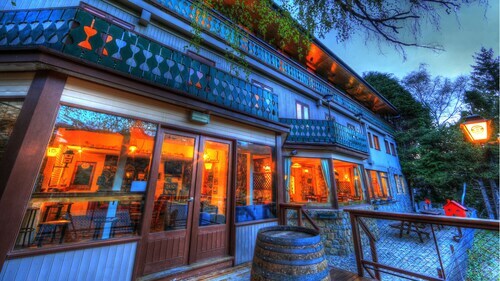 Perisher Valley accommodations are the Altitude - The Lodge Smiggins and Chalet Sonnenhof. Smiggin Holes apartments are the Perisher Manor Hotel and Salzburg Apartments. Located 120 kilometres away from Kosciuszko National Park is Canberra International Airport. Stay nearby at the Best Western Plus Garden City Hotel or the ibis Styles Canberra. How Much is a Hotel Room in Kosciuszko National Park? 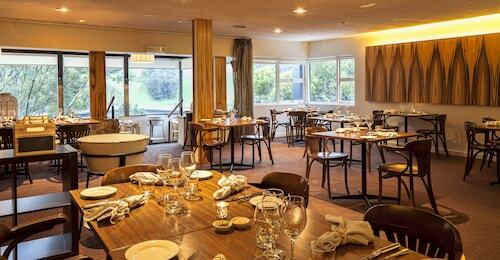 Hotels in Kosciuszko National Park start at AU$75 per night. Prices and availability subject to change. Additional terms may apply. Discovery Parks Jindabyne is right on the shore of Jindabyne lake and had a rustic and family friendly atmosphere. Our standard cabin that could easily accommodate 4 people was clean and had all the basic amenities. Communication from the park staff via SMS was great and kept us informed about our arrival and other activities happening around the venue. Overall, the property offered a good balance for the budget conscious travellers and a comfortable and relaxing stay.